Now in its fifth year, the Cholmondeley Pageant of Power will take place on the Cholmondeley Estate in Cheshire from 15 to 17 June, with day passes for the event starting from just £26 for an adult and £5 for a child when ordered in advance.  You have up until 9th June to win a pair of tickets courtesy of MyCarHeaven.com, to see how click here. Alternatively you can buy tickets or find further information on the, Cholmondeley Pageant of Power website. The event this week announced that it will have a new Supercar class. This new racing category will see the Lamborghini Aventador, BAC Mono, new Porsche 911 and many more competing for the lap record. It will a unique opportunity to see ultra-rare road cars in action, including the Aston Martin One-77, Bugatti Veyron Super Sport and Ferrari Enzo. Visitors can expect to witness some of the most exciting high-octane action ever to take place at the Pageant of Power. The record for the famous 1.2-mile sprint currently stands at 62.68 seconds, set by racer Nikki Faulkner in the Lamborghini Gallardo Superleggera LP570-4 in 2010. While the lap record will be up for grabs among all race classes taking to the track, including post-war Grand Prix racers, touring cars and motorbikes, nowhere will it be more fiercely contested than in the Supercar class. The Pageant of Power will also give visitors the chance to see a large selection of modern and classic supercars during the many parade laps throughout the weekend. The 258 mph Bugatti Veyron Super Sport (the most powerful production road-car ever built), the stunning Aston Martin One-77 and the beautiful race-inspired Maserati GranTurismo MC Stradale are among some of the rarest cars on the planet and the Pageant will be one of the few opportunities to witness the cars in action in 2012. Other cars taking part in the demonstration runs include the Ferrari Enzo, Ford GT, Jaguar XJ220 and McLaren F1, among the most important and iconic cars of the last 20 years. I don’t know about you, but we cannot wait to go. If you’ve been before we’d love to hear all about it below.